Quantity discounts available, see listings. Indesit KD6C35W, KD6E35W front fascia panel sticker set. Hotpoint KD6E35W front fascia panel sticker set. Bosch HBN414551 front fascia sticker set. Whirlpool oven, cooker decal sticker sets for worn facias. 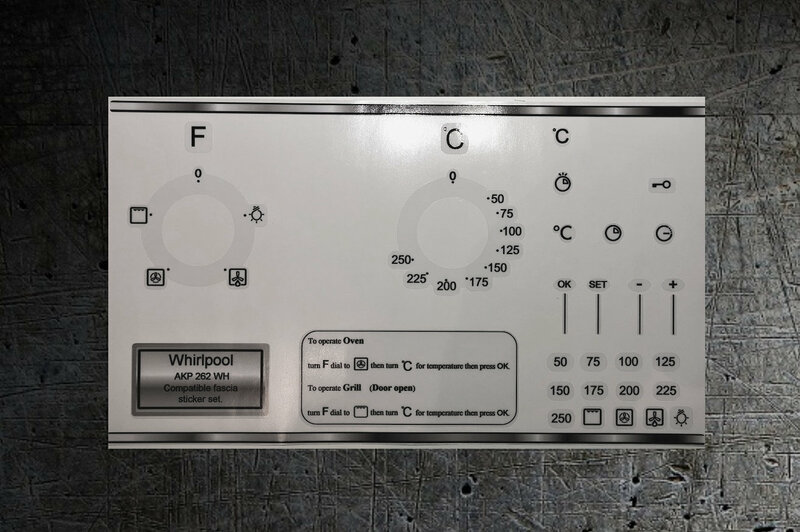 Whirlpool AKP 951, AKP 925 fascia sticker set for worn fronts. Whirlpool AKP526 fascia front panel sticker set. Whirlpool FCSM9 Oven panel fascia sticker set, may fit others. Whirpool AKP 206 IX decal set, may suit other models. Whirpool AKP 490/IX decal set, may suit other models. New Products For April - Appliance decal stickers. Whirpool AKP262WH oven, cooker panel, decal, stickers. Featured Products - Appliance decal stickers. 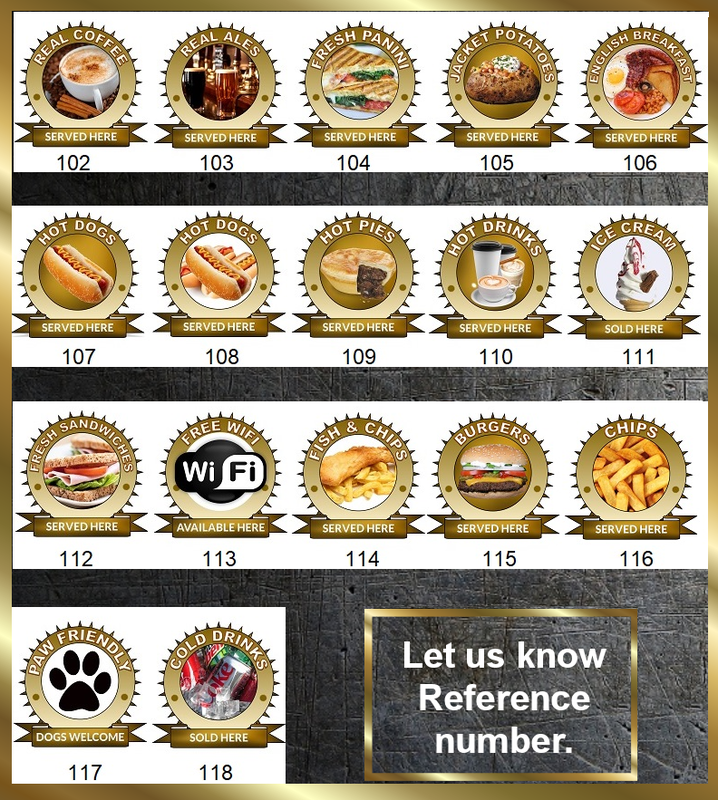 See our full range of catering stickers.